Benefits of Traveling Solo ~ Nepal Tibet Bhutan tour | Himalaya Holiday Services Pvt. Ltd. Traveling solo is one of the few joys of life we refrain from experiencing. Whether it is self-doubt, being introverted, or whatever excuse you wanna pile in front of you, but if you actually go ahead and do it, you will feel so much better. Traveling has ton of benefits both for our mental and emotional health. Traveling alone, on the other hand, can give you an experience you might not even be able to imagine. If you have been wanting to travel alone but don’t know if you really should, let us be your voice inside your head, you really really should, and here’s why. Just imagine. No one telling you where to go, what to do or even what to eat. Travelling with company is great, but that also means you will often have to make compromises and travel in their time or to places you don’t want to because your company wants to. It’s all fun and great but what’s wrong with being little selfish for once? That’s what traveling alone gives you. You wanna cancel some plans and spend your day sightseeing at a hill station in Nepal? You are completely free to do so. Another thing you will be getting rid of is drama, other than your own of course. No tantrums from your ever complaining friend and just no drama from anyone else. Traveling together can cause conflict between even the closest of relationships if you’re not on the same page. Leave your drama home and just go for it. Self-awareness is something we know we need but often neglect or don’t have the time to attain. Hectic schedule, maintaining social life and everything else you do can be exhausting after a certain point. Traveling alone gives you the freedom to just lay on a grass field in some unknown place to look at the stars and just think about yourself. Self-awareness and personal growth is vital for a healthy wellbeing and no money in the world can buy it for you unless you absolutely desire and work for it. You might need any more new friends, but it sure is nice to just talk to random people for once. Traveling alone doesn’t mean you have to be a loner, just talk to the locals, fellow tourists, there’s ton of enjoyable company in the world if you only let it. And who knows, some of them might even last a life time. 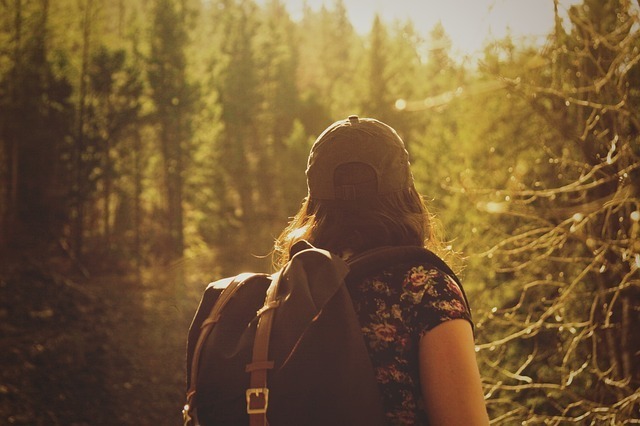 Traveling alone can be daunting if you’re not as independent as you might want to be. But at the same time it gives you the perfect opportunity. When there’s no friend to book your hotels or even ask for directions, you do what you have to and rely on yourself. This might reflect on your everyday life making you more independent. We all love comfort zone because it’s just an easier way to live. And we rarely enjoy our own company if it’s not spending hours on Netflix or Facebook. But getting out of the comfort zone can be refreshing and give you that much needed break to handle life better. And you will enjoy your own company. If you can’t enjoy your own company or that seems bit unordinary, it’s high time you do, maybe that’s what’s holding you back.